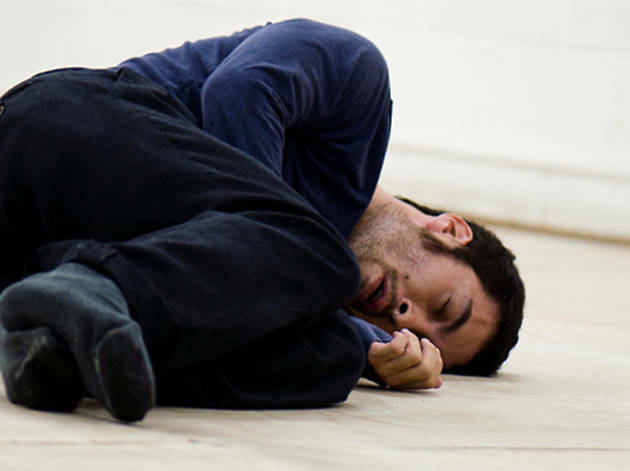 As part of its series dedicated to Brazil, the Mercat de les Flors presents two days featuring three solos created and performed by Eduardo Fukushima, choreographer, dancer and teacher in Sao Paolo since 2004. 'Como superar o grande cansaço?' ('How do you overcome extreme fatigue?') explores the building of gesture and intention within specific qualities of movement, reaching a body state that both develops and exists in real time. 'Entre Contenções' ('Between Contentions') is a short dance piece based on three simple gestures that unfold in space. This solo is a raw and harsh non-verbal statement. Possibilities for communication exist in moments of confrontation.